Philips has long been a giant in the lighting world, and it’s taken quite a large step into the world of automated lighting. Philips has developed a system of automated lighting that changes the way you see your world. 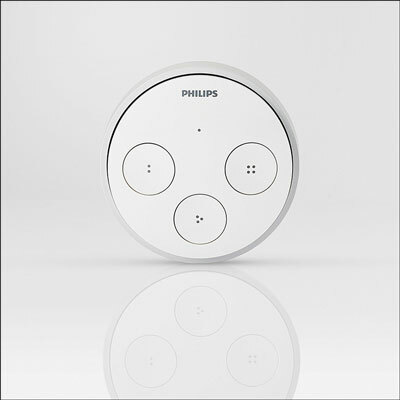 The fine folks at Philips have conjured up a little thing they call hue. The hue isn’t a single device, but rather a line of devices that redefines how you light the spaces around you. The hue range of products uses LED lighting, so they aren’t conventional bulbs, but they will fit into your current light sockets because they are the same size as standard A19 (the same size as most incandescent bulbs) bulbs. But that’s not all. The hue bulbs connect wirelessly (using ZigBee) to the hue bridge (all of which can be seen here), which connects to your Wi-Fi, allowing you to control your hue system via your smartphone or tablet with the hue app. 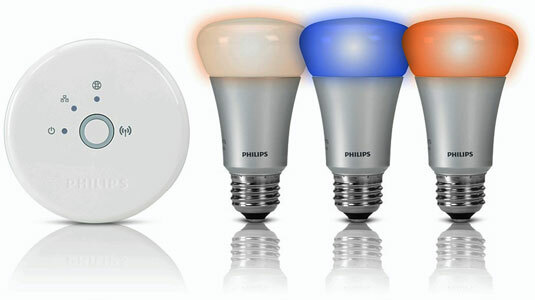 Credit: Image courtesy of Koninklijke Philips N.V.
A hue bulb is able to light your home with brilliant white light. But that’s not all. It also can light your home with every shade of color in the spectrum. You can control 50 hue bulbs from one bridge. Mix and match colors throughout your home to make incredible combinations of colors. Reading: Your hue lights will automatically give you the perfect light for reading conditions. Concentrate: This combination of lighting helps you maintain your focus. Energize: This is perfectly suited to giving you that extra pep when you need it. The hue app enables you to easily customize colors by increasing or decreasing combinations of color within the app. You can set your hue bulbs to pulsate, or flicker, or any combination of flashes to help remind you of events or alert you about activities. For example, you could set your hue bulbs to flash three times when you receive an important email. Set up schedules to automatically turn your hue bulbs on or off at preset times. Geofencing capabilities let hue know when you’re close to home so that when you are within a preset distance to the house, the lights will be on and waiting to welcome you. 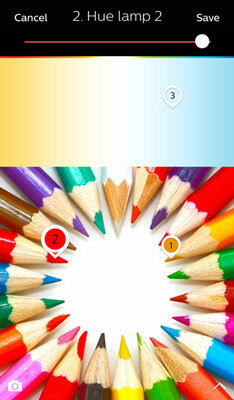 The app enables you to create custom colors that match those in pictures that reside on your smartphone or tablet. For example, if the sky is so perfectly blue that you just have to take a picture of it so that you don’t forget it, you can use the hue app to “see” that particular shade of blue and it will create that same color in your bulb(s). The hue’s recipes are based on sound science. Philips has put together a great site aimed at teaching you all about lighting and how it can help you (as well as hurt you). That site is the Lighting University. Replace your old standard bulbs with hue bulbs and turn on the light switch. Connect the hue bridge to your Wi-Fi hub using the Ethernet cable provided by Philips. Download the hue app to your iOS or Android device. Fire up the hue app and find your bridge on it. Once you’ve selected your bridge, you can discover the bulbs you installed in Step 1. Now you have complete control over your hue system. It’s simple to add more bulbs to the mix as you see fit, too. You can even add other hue products to your system; you don’t have to be stuck with standard A19 bulbs, or other styles, if you started your hue system with one of the starter packs. If there could be a con to owning the hue lighting system, it would have to be this: The only way to control your lights is via the app on your iOS or Android device. You can no longer turn your light switches on and off like you’ve done from the time Mom and Dad first started pestering you about it way back when. You can imagine what a hassle this could potentially turn into, especially if you aren’t the only person occupying your home. Your kids will dutifully turn lights on and off at the switch as you taught them to, your spouse will have his own lighting ideas and recipes, and all other manner of higgledy-piggledy will take place. Bank on it. The folks at Philips heard the complaints and totally understood, so they went to work doing something about it. That something is the hue tap. The tap, shown in the following figure, is a four-button switch that you can take anywhere in the home with you, or you can mount it in a location of your choosing. The tap controls your hue system without the need of your app (once you’ve set it up, that is). Don’t worry, though: Your hue system still works with your app. It’s just that with the tap you won’t have to constantly be on the lookout for your smartphone or tablet. The tap has four buttons; at first glance, though, it only looks like there are three. The other button is actually the biggest part of the tap; the other three buttons are actually inside of the larger button. Use the hue app to set up your tap. You can assign different functions to its four buttons from here. Take tap with you anywhere in the house; it’s completely portable. The tap never needs batteries! It actually uses kinetic energy as its power source, meaning that it’s powered by your touch. That, my friends, is worth the price of admission.